When we moved here we were hoping that we could use a normal second hand tractor like an old Massey Ferguson 35 or 135. Failing that a small 4 wheel drive might have been suitable. However, our land (17 acres of pasture and 6 acres of wood) really is very steep. The farmer who used to own it told us that he had had a few ‘incidents’ with a tractor on the land! John thus decided that buying the special tool for the job (even with the extra cost) was the better part of valour! Working a tractor on steep hills is one of the biggest causes of fatalities on the land and he has no plans to shorten his retirement unnecessarily. At least the brakes work! This led us to undertake a lot of research an eventually we settled on buying an ‘Alpine tractor’. This type of tractor with it’s low centre of gravity and with the engine weight over the front axle is very popular on small hilly family farms in Italy and Switzerland. They are not used much in the UK and indeed many farmers have advised us not to buy one as ‘they are an unknown quantity’. Actually their mechanical simplicity was a plus point for us in that any decent mechanic should be able to repair it without needing to plug his computer in or have access to the service error codes. The downside is that they are very expensive (for what they are) and second hand ones do not come on the market very often. Thus our new AGT 850T was delivered today. This is the ‘non articulated’ version of the tractor; i.e. it does not bend in the middle (although the two axles can pivot in the horizontal plane for better traction). We’ve also specified wider and lower tyres and set them as wide as possible to give maximum stability. The engine is a 48 hp Lombardini engine. It has 12 gears and a shuttle box. The driving position is reversible so that you can swing the seat and controls round to face the other direction. This means that you can face forward with some implements. It has a single and a double spool valve on the hydraulic side of things. 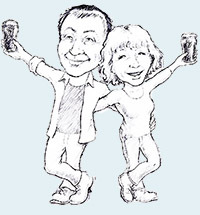 As there is not much user information on the internet we are hoping that this blog will become a little review over time. As we use it more we will add information and give details of it’s performance and reliability etc. Anyway we unloaded the red tractor today and after filling it up with red diesel John took it for a spin up some of our ‘lesser’ slopes. It seemed to cope with things pretty well. We’re hoping to get a pasture topper, transport box and set of chain harrows in due course. Another reason for choosing this tractor is that we will need to get up into our wood to start pulling out fallen trees. 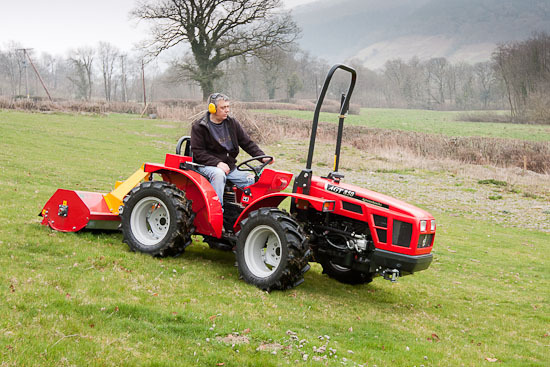 This tractor will hopefully be ideal for working in such an environment on the side of a slope. A number of people use them with a forwarding winch for extracting wood out of forestry land. As said we’ll keep the blog updated with how we get on with this machine. As part of John’s research into tractors which would be suitable for use on our steep hills we decided to go up to the LAMAS show in Newark which was on the 19th and 20th January so that we could look at some of the options.We travelled on the 18th taking a picturesque route through the Brecon Beacons and then the border country to see John’s mother first. We then went on to Nottingham after stocking up with supplies from Waitrose in Newport, as we do not have a Waitrose locally. Our son Mark and his girlfriend Emma kindly put up with us for one night. It was good to catch up with their news and be introduced to their pet tortoise and King snake.It was an early start the next day so that we arrived at the show at 6am before the traffic had built up. We had our early bird full English breakfast before having a look round the show at some very expensive pieces of machinery. 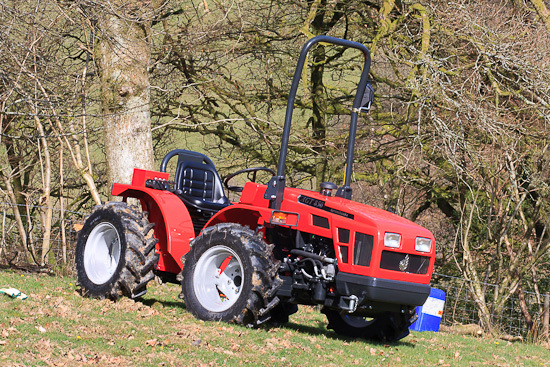 It was worth the trip as we ordered an Alpine tractor at a special show price. Hopefully it will do the job nicely.